Whether you call it our Kids’ Village or Puppy People Play Town, 2016’s Kids' Village is a day out inside your day out. It’s bigger and more fun than ever. 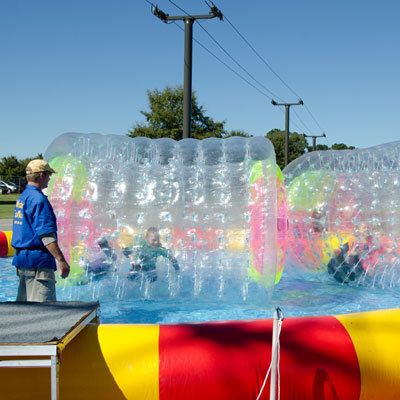 Start out pouncing and bouncing on one of the inflatables, try out some of our other cool and unforgettable activities, and then stroll around the family vendors for some great souvenirs. 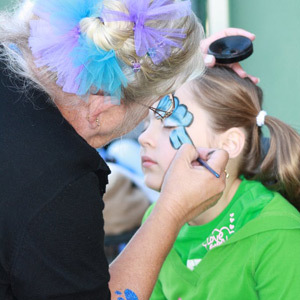 Why not try on a new look with our face painters? Be a dog! Who’s a princess today? You are! 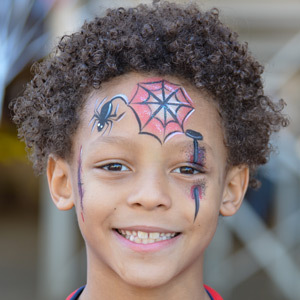 You can even be a black cat or a spook-tastic spider for Halloween! And even though it’s the height of fall, don’t forget the holidays are just a few weeks off. We’ve got photographer Alex Neely to capture the whole family including the pups! Best.Holiday.Card.Ever! Of course, don’t forget to check out useful info from K-9 Coach and watch some amazing and educating demos. All this fun is on top of our already great family event. So check out the other schedules of bands and demos around the park and grab some great food from the food trucks. And remember, all this benefits Atlanta Boxer Rescue! Download our vendor application if you would like for your business to be a part of Boxerstock this year! 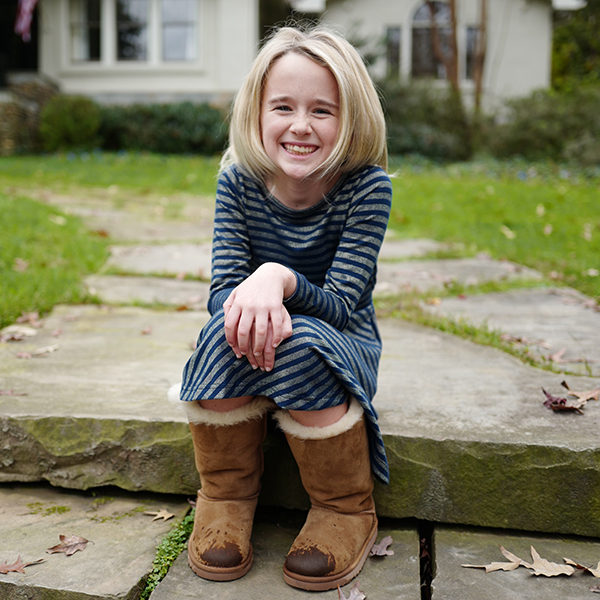 Abby Muller is nine years old and a Fourth Grader at Trinity School in Atlanta. She loves to sing and perform, and has participated in several open mic nights. When she’s not singing, she enjoys gymnastics, swimming, tennis, soccer and dancing. She likes to travel with her parents, and has visited a number of states, including a trip to Wyoming this summer where she rode horses every day. She is also a Girl Scout Junior and recently attended a camporee weekend in the North Georgia woods. 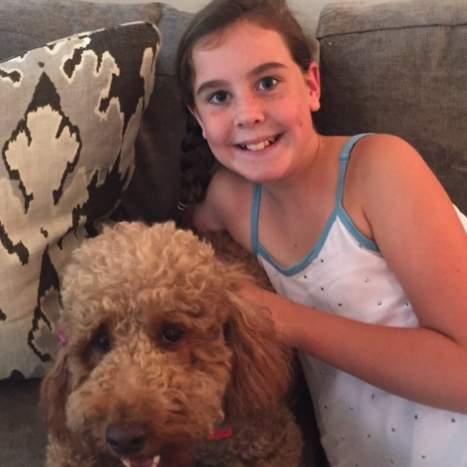 Elizabeth Hodges is an energetic 5th grader at The Trinity School. She has been singing and taking vocal lessons for 2 years. Elizabeth has also played the piano and recorder. She also enjoys dancing, girl scouts, and playing with her cute, red fluffy dog named Milly. Milly won the funniest Halloween costume contest last year here with her Taco costume. Elizabeth is very excited to perform for you this year for the first time at Boxerstock! 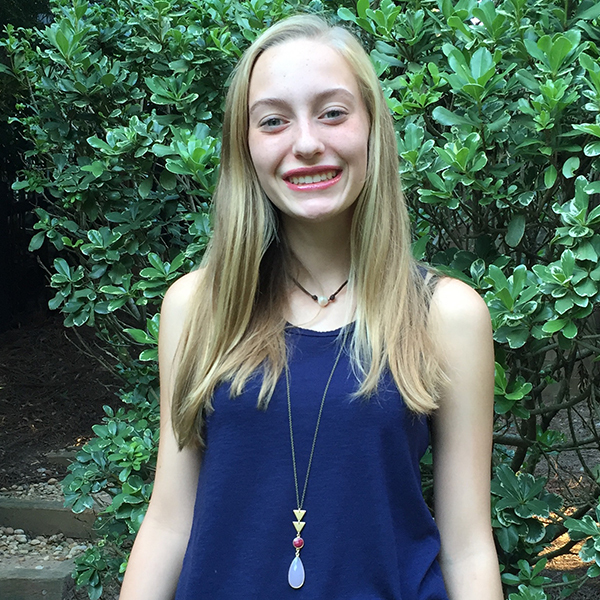 Kate is a bubbly, outgoing, free spirit who is also a 3rd grader who attends Pace Academy in Atlanta. She has performed in a number of school, as well as after school plays, and has taken piano for two years. She could not be more thrilled to finally be singing with Courtnay & Rowe. Kate has had a passion to sing ever since she was 3 years old. Aside from her musical interests, Kate enjoys spending her active time playing soccer, basketball as well as swimming. 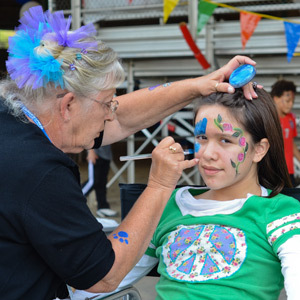 Additionally, she is a Girl Scout, and relishes spending her downtime using her creative spirit to paint, draw, sew and bring art to life. 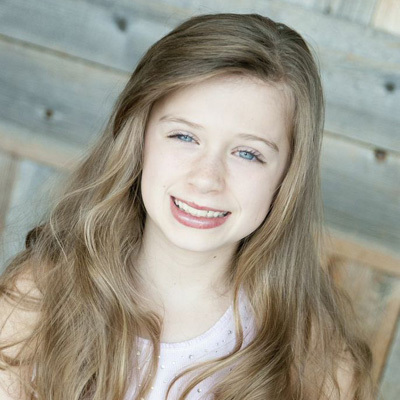 Rachel is a 12 year old entertainer with a penchant for fun and flair. She has performed in over a dozen plays and musicals with Fabrefaction Theatre, including several professional productions, in both lead and supporting roles. Most recently, Rachel starred as Oliver in the musical Oliver!, which played at 7 Stages Theatre. 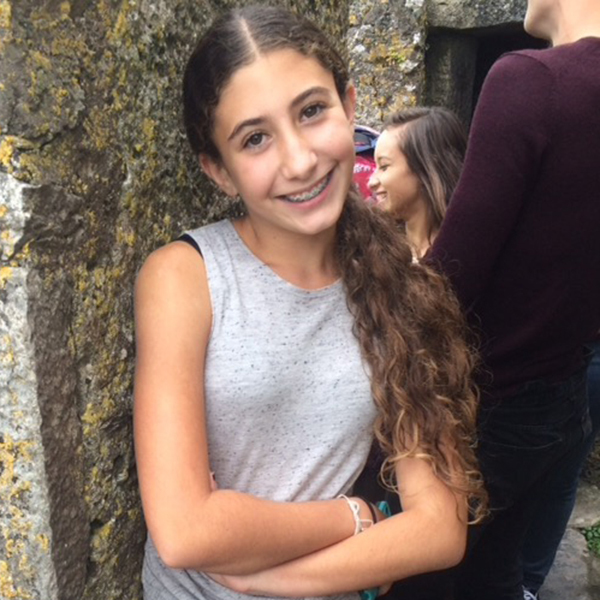 Rachel sings at Courtnay & Rowe’s Open Mic nights and is looking forward to gracing the stage in theatrical productions at The Westminster Schools, where she is in the 7th grade. Aside from acting and singing, Rachel enjoys competing in chess tournaments (she’s one of the top chess girls in Georgia! ), studying Hapkido martial arts, writing original stories, and delving into all things creative. 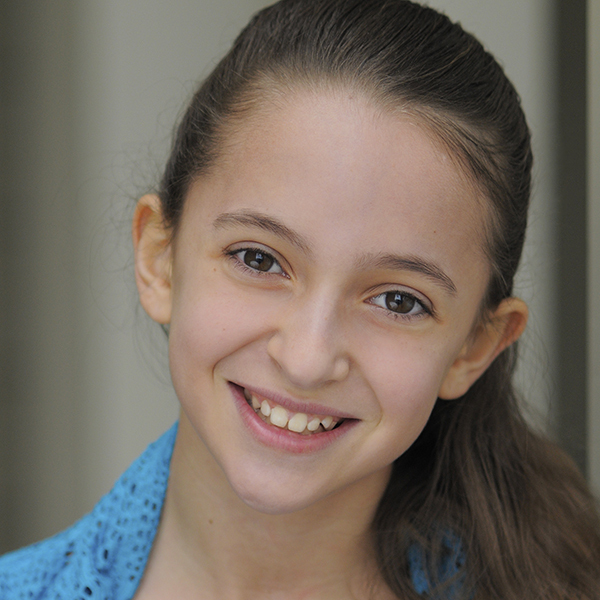 Emma Delman is a 12 year old with a passion for dance, music, singing and songwriting. She has been working with Miss Janette (Vocal Coach with Courtnay and Rowe, Inc.) for over 2 years and has been dancing since the age of 4. She also plays guitar, piano and cello. She performed in the Georgia middle school all-star orchestra earlier this year with her cello. She has pursued performance programs every summer since 2010. Emma is a bubbly, thoughtful and considerate young woman with genuine concern and compassion for those around her. Recognized by all as an easy-going and sweet child, she brightens a room with her sunny disposition. Emma, her parents, and her sister Samantha, share their home with a golden retriever puppy, a cat, nine fish and two bunnies. The family is rounded out by a thoroughbred-quarter horse mix that is too big to live in the house. An avid animal lover and overall warm spirit, Emma is excited to share the stage at Boxerstock 2016. 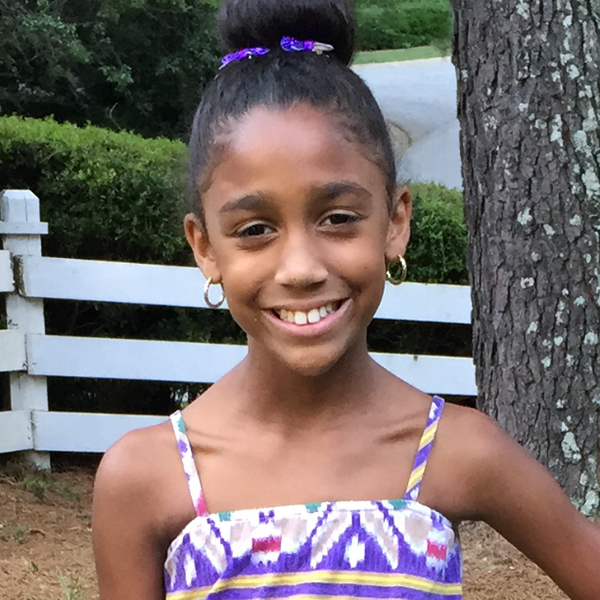 Samantha Duncan is an upbeat and quick-witted 5th grader that has a passion for the arts. Samantha may only be 10 years old but has the soul of a seasoned entertainer. 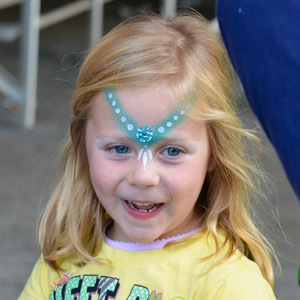 At five years old she landed a small role in the independent film, Tiger Lily, and has since starred in a number of musical and play productions. When Samantha is not preforming on a theatre stage she is singing or playing the piano. Samantha loves to create her own dances, play basketball, and hang out with her friends. She wants to pursue acting and hopes to one day attend NYU. Mia Carson is an energetic 7th grader at The Woodward Academy in Atlanta. She loves to sing,act and dance.She has starred in her school production of Peter Pan as Captain Hook and had her 1st movie role appearance in 'Dormant". Mia has also sung in her 5th grade ensemble choir and 6th grade honor choir. Both choirs competed and won Grand Champion in the Southern Star Music Festival. Mia has an older sister at Westminster and enjoys making people laugh and playing with her dog in her spare time. Vinay is a 7th grader at the Lovett School. Vinay is a singer, choreographer, dancer, and actress. She loves to perform at church, school, open mics, senior citizen homes, and for her family and friends. Vinay has been singing since she was 4 and trains with Miss “J” of Courtnay & Rowe. While Vinay loves the stage it is only second to the love she has for her baby sister, Jaselle, and her baby brother, Jace. She is the best big sister ever. Margaret Anne Coleman is an 8th grader at Mt. Bethel Christian Academy in Marietta, Ga. She has been singing, dancing and performing in plays, musicals, competitions, recitals and operas since she was 3 years old. She has most recently been performing at Open Mics, professional productions and talent shows around the Smryna and Atlanta areas. Besides singing and acting, Margaret Anne is also an award winning clogger. She has won awards with her solo clogging routines from Starpower and Stage 1 over the past three years. When she's not on stage, she enjoys sewing, making jewelry and walking her pets: dog Quincy and tortoise Tiffany.You are sure to enjoy this pint-sized power house singer/performer! 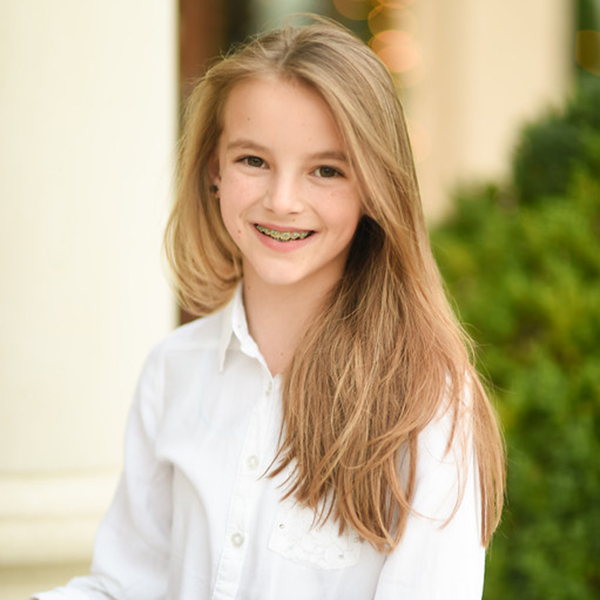 Chiara Kremer is an 8th Grader at The Lovett School. She has been singing and playing piano since she was 5. Chiara has performed in numerous recitals, both in New York and Atlanta, and she has been performing at open mics for almost 4 years. Chiara performed at Boxerstock last year as well. In her free time, she enjoys playing soccer and volleyball, spending time with her friends, and, of course, singing. 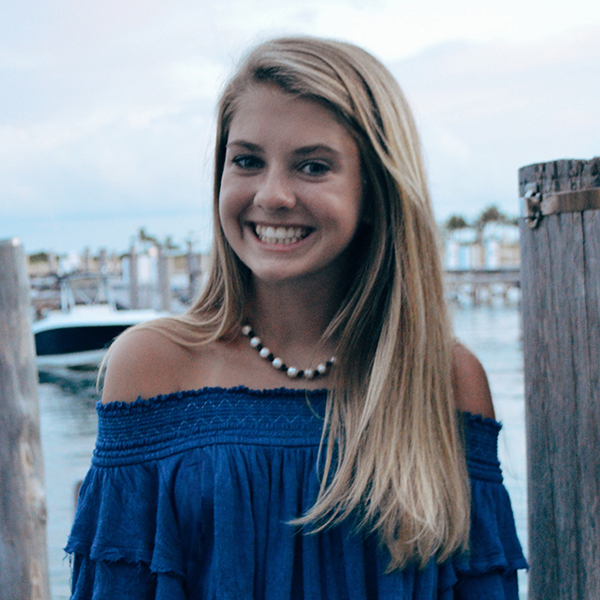 Annalise is an energetic tenth grader at the Lovett School who loves to sing. Her interest in singing was sparked when she joined a local children's theatre group and performed in six musicals and her school musical. She traveled to Los Angeles where she performed with a young actors group at Disneyland and Knott's Berry Farm. She also joined the cast of Fabrefaction's Willie Wonka and the Chocolate Factory. Throughout the years she has grown to love country music which is now her main focus. Annalise also can't get enough of cheerleading, gymnastics and spending time with her two dogs. 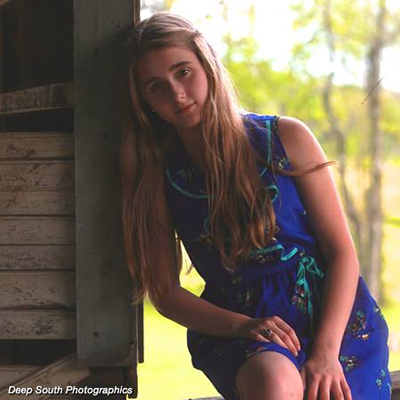 Liz Kate has played at some of the most reputable venues in the South (The Red Clay Theater, Eddie’s Attic). No stranger to the stage, she began training in vocal and guitar technique just a few months shy of her sixth birthday. Her mother, an actor and professional dancer, realized Liz Kate’s passion for music and encouraged her to pursue songwriting as well. 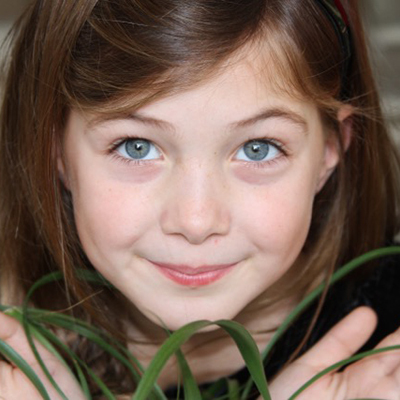 By age six, Liz booked her first acting role in a feature film (Love on the Rocks, Justin Welborn), then went on to appear in several award winning short films soon after also winning Best Child Actor in 2010 for a short film (Things Past). While training under Sarah Peacock for voice, she was introduced to Vanessa Olivarez (Mama’s Blue Dress, Granville Automatic, American Idol). Vanessa and Liz developed a strong bond and through her coaching, it took Liz Kate’s music and songwriting to new heights. Liz has trained under many reputable guitar coaches in the Atlanta area (Matthew Chenoweth - Harvard Music Graduate, The Goldest, and Jerry Farr - Willie Nelson, Alabama). Continuing her growth, she now studies at the world renowned Jan Smith Studios under accomplished guitarist/musician Peter Vogl. In 2013, she collaborated with musicians Kendra Morris and Julia Haltigan to write her song “Master of Disguise”. Through her new friendship with Kendra and Julia, she was introduced to Marshall Ruffin when Julia asked Liz to do a duet of her song “Goodbye Cowboys and Rocketmen” with her at Eddie’s Attic. Liz Kate continues to work with the three of them individually and frequently is asked to sit in and play shows when they are in Atlanta. 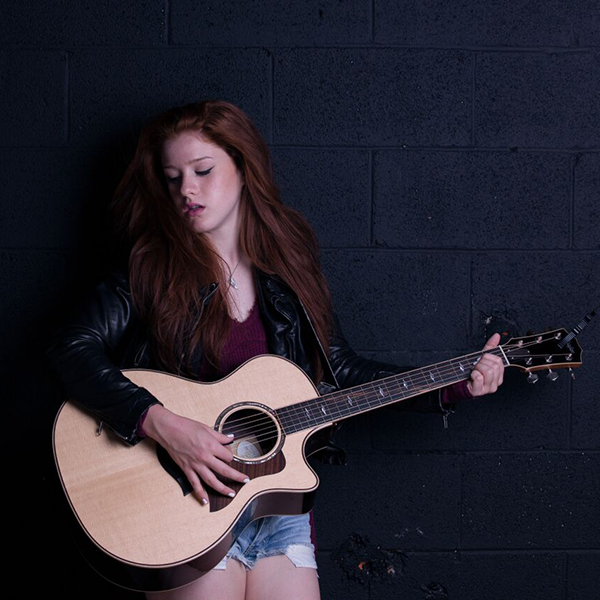 Ella Collier is a 16 year old singer, songwriter and musician from Atlanta. She has performed throughout her life, chasing her dream as a hungry artist. You can catch her at many venue’s throughout the Atlanta area. Her dream is to perform her music for audiences all around the world, hearing them sing the words back to her. Music is her number one priority, and she has been willing to work as hard as she can to achieve her goals. She wants to connect with people, inspire, and relate to people as a person and as an artist. Ella has also been on Youtube since she was thirteen, where she posts covers and originals. Check her out at YouTube.com/ellacolliermusic In addition, Ella is the poster child for the American Heart Association, and has some projects coming up with them soon. And the most exciting part for Ella is that she recently released her debut single written by herself titled “I’m Gonna” on ITunes, Spotify, and Apple Music. This was a new chapter she was ecstatic to start, so she created a lyric video (also on her YouTube page...) to “I'm Gonna” with her brother, Win. Her energy is almost always buzzing, as is her drive, so it will not be long before you hear her name again.